TTG (Taiwan Transportation Equipment Guide), published in 1986, is the earliest professional auto parts magazine in Taiwan, providing its readers the most complete information on Taiwan auto parts suppliers, related auto parts products and reliable services like OEM, ODM and OES. Ever since establishing its first B2B online platform in the 1990s, TTG has collected considerable information on million-plus buyers worldwide, which are stored in database hosted on its server. In addition, the firm's buyer service team receives and handles inquiries instantly to help match global buyers with suitable suppliers in buyer guides, to bring its customers massive international business opportunities. To catch up the pace of digital trends, TTG has also been electronically published in a USB saving device, allowing buyers to access the data with more convenience. During this year's AAPEX, TTG's new digital form enjoyed positive feedback from international buyers, not to mention its outstanding marketing effects acclaimed by both buyers and suppliers. On the first day of AAPEX 2017, EDN's Taiwan Exhibitor Group received a large number of inquiries from buyers from the U.S., Mexico, Canada, Guatemala, Peru, Dominica, Australia, Iran, Syria, United Arab Emirates, and etc. Apart from collecting buyers' data at Taiwan Pavilion set up on the fairground, EDN also dispatched a team of seasoned marketing agents to serve Taiwanese exhibitors on the second floor. 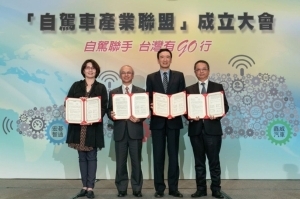 With over 200 business inquiries extracted from professional buyers, EDN would be able to provide Taiwan exhibitor group with effective business opportunities. 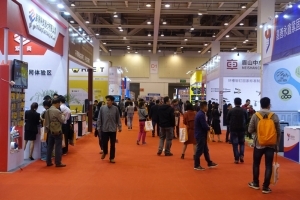 According to EDN's analysis, buyers met on the first two days were mainly importers, distributors, and wholesalers; and among the most inquired products were body parts, along with chassis parts, auto electric systems, engine parts, cooling systems, and auto electronics. 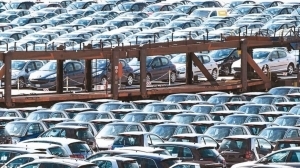 Local buyers mostly inquired collision parts, while those from Southeast America were more interested in chassis parts, and Middle-East buyers showed much intention of procuring cooling systems. Meanwhile, maintenance tools were more popular among wholesalers. Over 40 percent of the buyers who visited UDN's service booth had obtained complete sourcing data provided by TTG. A buyer from Southeast America came to EDN's booth to inquire products made by Jesse Lai, one of the members in EDN's exhibitor group, and EDN's service team kindly led the buyer to the right booth. Also notable is that another buyer from the Philippines came to UDN's booth with a name card of a Taiwan hand-tool manufacturer. 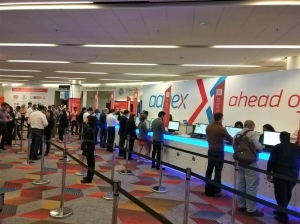 Although the firm didn't exhibit at this year's AAPEX, the service team still tried to match the customer with the firm in order to create business chances for both parties. These instant business matchmaking services have earned END trusts and recognitions from international buyers and firms. 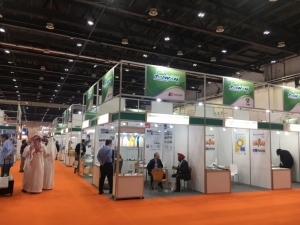 EDN also issued two reports on Taiwanese suppliers during AAPEX 2017, which feature supplier news and locations and contacts of AAPEX Taiwan exhibitors, allowing buyers to connect with exhibitors in a quick and easy way. TTG’s new digital form has enjoyed positive feedbacks from international buyers and outstanding marketing effects.